It would be impossible to guess that the man you pass in the wildly colorful shirt with a big smile and a huge presence is an international educational entertainer. Flint’s early years were far from glamorous. His birth mother was a New Orleans prostitute. He never knew his natural father. At two months, he was adopted. At 16, Flint’s mother said he could no longer live in her house. His dad handed him a suitcase and told him it was nice knowing him. A friend’s father helped him find a room for rent where he lived until graduation. However, Flint survived: He earned his Bachelor of Arts degree in English at Oklahoma’s East Central University. He earned a master’s degree in ethics at Southwestern Baptist Theological Seminary and became a Baptist Campus Minister, teaching at Ohio University. He worked at Wayne State University’s school of philosophy in Detroit, where he earned his degree in psychology. The turns in his life took him to Florida, where he ran a free counseling center in the Palm Beach area. While there, he wrote a magazine article about balancing work and family and that article gained international attention. And groups worldwide began inviting Flint to share his research and philosophies. “That was a once-in-a-lifetime opportunity,” Flint explains of beginning Richard Flint Seminars 34 years ago. Flint met his wife Karen while working in Newport News in the early 90s and they married in 1994. At the time, his corporate headquarters was in Florida. 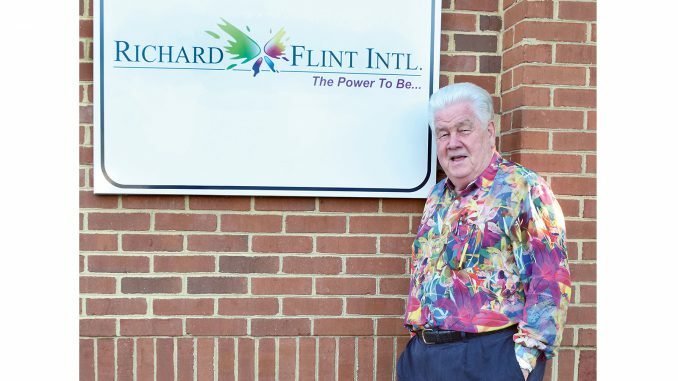 Karen grew up in Hampton Roads and since Flint was on the road two-thirds of the year, Richard Flint International was moved to Oyster Point with Karen serving as president of Richard’s companies. Flint has recorded 125 CDs and 19 books. He produces videos for companies and leads approximately 230 annual seminars around the world. In 2007, Flint published his life story, “Breaking Free: Learning to Work Through the Negative Events of Yesterday in Order to Live Your Life with Personal Freedom.” That year it was nominated as the best, new self-development book and since its publication, has transformed many lives. His best selling book, The Truth About Stress: Understanding Your Life from the Inside Out, is required reading by corporations worldwide. “I believe everybody has a stage and I am standing on my stage,” Flint says. “She’s my right arm,” Flint says of Hardin. Subscribers can start each day face-to-face with Flint online for 60 seconds, receiving one of his philosophies of life and a piece of wisdom. “Richard will guide you on a journey toward clarity and certainty, away from chaos and confusion in a way only he can,” Dr. Albert E. Andrion, II, of Andrion Chiropractic, says. “The basic question all of us has to answer is: ‘Who are you?’” Flint says. Flint is a Certified Speaking Professional (CSP) and was inducted into the National Poetry Association for his five volumes of poems. His greatest reward is the happiness, fulfillment and freedom he gets watching the light bulb come on in people’s lives. 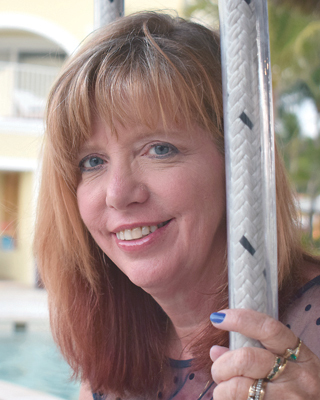 Cathy Welch is a Hampton Roads-based writer, photographer and book editor. She says her life is an eclectic mix of career and FAMILY. 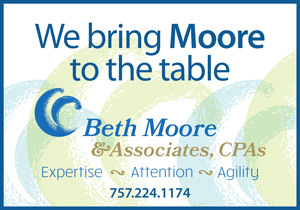 She earned our Bachelors degree in business administration at Christopher Newport University, minoring in Spanish. Her career has been full- and part-time as an administrator, an engineering assistant, a bookseller, a merchandiser, a naval photography layout assistant, an office manager, a grant writer and a human resource manager, all giving her experiences that feed her writing. She fosters pups and does what she can to bless those who are in need, whether human or canine. 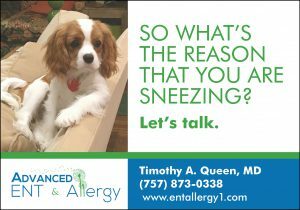 She can be reached at 757-870-0768 or at cathywelch25@gmail.com.